Proud nga ba o Insecure? Proud daw ang marami sa ting maging Pinoy. May mabalitaan lang na may isang Pinoy o kahit may dugo lang (kahit 0.00009%) at may napanalunan o sumikat sa ibang lugar, proud agad tayo. Magagaling daw tayo at talented. Matatalino at madiskarte. Sabi natin yan sa sarili natin. Minsan tingin ko e tayo na lang din ang bumobola sa sarili natin hanggang sa maniwala tayo. Pero totoo naman na may kakayahan at galing tayo pero hindi lang yan dahil sa Pinoy tayo o anupaman kundi dahil tao tayo tulad ng iba at kung ano kayang gawin ng ibang tao, ano man ang kulay, lahi, bagay sa pagitan ng hita, o kahit ano pa, e kaya nating gawin yun sa abot ng mga limitasyon nating physical, emotional at psychological tulad ng sabi din dito sa post na ito. Ito rin siguro kaya pag may sumali sa mga talent contest na hindi kagandahan ang itsura at pagkatapos e nagpakita ng kahit sub-par talent e nabibigla na tayo at nagagalingan kasi kinukumpara na natin agad ang itsura dun sa talent niya. Pag guwapo naman yung banda o artist, sabihin natin na baduy o puro papogi lang. Malamang may magalit pa sa paggamit ko ng "bakla" na para bang pinapalabas ko na masama yun bilang interpretasyon sa mga sobrang gwapo. Pero pasensya na dahil yung derogatory term na yun e natutunan ko lang din sa mga kaibigan ko na mga bading din mismo. Tawag pa nga nila dun ay "Paminta" o "Pamhin". Saka hindi man lubos na kilala ang tao na may mga ganitong katangian ay mabilis na nabibigyan ng ganitong paghusga ang iba sa kanila agad-agad. Dahil kaya ito sa marami sa may mga kaparehong katangian nila ang ganoon? O dahil nga sa napapanood nating sa mga palabas sa tv o pelikula? O baka naman ay dahil kailangan lang natin silang tirahin paibaba para di sila masyadong umangat at mangibabaw? Meron talagang taong matapat, totoong tao, passionate, open-minded, liberated at progressive. Pero hindi ko alam kung tama ang pagpapakahulugan natin sa mga ganito sa nasa itaas. Ito ba ay pagtatanggol dahil iniidolo natin yung mga taong ganito? O baka kasi dahil ganito din tayo at binibigyan lang natin ng dahilan ang ating mga ginagawang mali? Pinoy Pride o Pinoy Insecurity? ...and because you guys are awesome to share your time reading my articles. Thanks! And please don't forget to like the TIG Facebook Page. For other nation’s athletes, the quadrennial event is the place to showcase their talents while beating their similarly world class competitors. But for our country, it’s a 4 year cycle of frustration. We always hear about the “it’s not about winning” slogan in sports. I am a sports man myself. I’m not that competitive though in many games that I played, but I did play a lot. I don’t win all the time but I still love doing sports. So I understand this “it’s not about winning” attitude. It’s about doing our best and learning from our defeats. But in this case, I'm still waiting for the learning part for our sports committees from the bunch of defeats that our country had been experiencing from decades of joining the Olympics and other sports event. We might have world class sports people like Manny Pacquiao, Paeng Nepomuceno and Efren “Bata” Reyes. But in general, there’s no consistency. What I see is the blaming game debacles after debacles. For a general long term program visioning our athletes to be consistently world class, I see none. Onyok Velasco, Silver medalist in '96 Olympics. Our country haven't won a medal since. Like you, I’m one of those who believe that our athletes, given the proper training and exposure can become top tiers in their fields. If we look back at our sports history, many had already proven this. I’m sure you can give a name of a Filipino athlete in our past that marked their names in the international stage. And I’m sure that most of which you can name are the same as those who I can also remember. And that really means how few our world class athletes were in history. Well, except in boxing and billiards of course. And after decades of being part of the modern Olympics, the gold is still as elusive as ever. As embarrassing as it is, a lot of other small and new member countries in the Olympics already overtook us in the overall medal tally. Since being a member of the tourney exactly 90 years ago, we only have 2 silver medals and 7 bronzes to show. 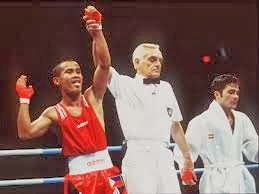 Just this last SEA Games held in Myanmar, our country had one of its lowest showing in the history of the competition, winning only 29 gold medals and placed seventh overall. It’s our worst actually. But the cause is not really our lack of competitiveness but it is by not sending many athletes since our sports officials think it’s a waste of money to send those who don’t have much chance to win medals. Only those “winnable” are sent. Even the highly touted Azkals, our football team, was not part of the team. And our basketball NT was in danger also of not being able to defend the title that we only lost once in this tournament have they decided not to send naturalized big man Marcus Douthit with the team. If you look at it, it seemed to be not about the competition and exposure for our officials but more about the money and the medals. So what does all of this have to do with the secret to winning our first ever gold medal in the Olympics? Since our sports leaders are officially on a budget cut, then they probably are not very much into grass root training nor sending our potential athletes into training abroad. Or maybe if private groups or individuals shoulder the fees, then it’s okay with them. And it is currently working with some of our athletes like how Wesley So is being handled well in improving his FIDE ratings, our billiard players are continuously winning world cup events, some of our tennis prodigies are competing outside and getting ample exposures and even education abroad, and having both Azkals and Gilas making big leaps in increasing their world rankings. Let’s not forget to thank these generous companies and individuals who are supporting our athletes. 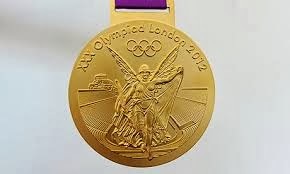 But for the other sports, since our officials are on a budget cut and seemed to be on a hurry to win and only send those who have chance of winning medals, here’s a remedy they can do to discover top notch athletes across the country and finally win our first ever gold medal in the Olympics. Concentrate on sports where world class competitiveness can be easily measured like swimming, weightlifting and athletics. Let’s say all sports where measurement of speed, strength, leap, etc is the metric. Collect and list all the world records for these events. Thru partnership with local governments and department of education, promote these sports in a separate annual event. Promote this program as where only those who can reach or perform within world record level of measurement (speed in swimming and running, length and height of jumps or leaps, weightlift records) are allowed to join. Put a little tolerance on the measurement let’s say those who can perform at least .5% under the world record are only allowed to join. To prove that they can do it, there will be auditions and screening. Or they can record it thru a video under a supervision of members of local government. And those who will pass the requirements are the ones to be trained for the international events. Then for those who will be able to equate or surpass the current world records, they will be given BIG monetary incentives right away, and should be huge enough that those aspiring athletes will be motivated to train more to be able to reach international standards. Let’s be honest that besides competitiveness and winning, earning is one of the biggest motivations for most athletes. That’s the reason why there are so many athletes around the world who are chasing professional careers which promise big paychecks. Besides, it would be difficult for an athlete to divide their time with training for sports while making a living for their family which I think is what pushes back some of our promising talents earlier on. Hidilyn Diaz, our best chance at a medal last Olympics. And on the next. By following this program, we can easily pick our world class athletes easily. By proper advertisement with an almost free assistance from government bodies (public schools and local government), we can see the promising undiscovered athletes presenting themselves at the doorsteps. I know that it’s not easy to coordinate with some schools and LGUs but for sure, media will pick this up as well. Let’s say we entitle it the “1 Million Peso Olympic Record Challenge”. Those who can break the current world records in swimming, running, or weightlifting will get 1 Million Pesos in cash right away plus assured world class training. And we may not need our government to bring out the money here since private companies can sponsor this event. All the government has to do is to spearhead. Or maybe even without the hand of the government, some generous billionaires out there can make this idea into reality. If only I have the money, I will do this. But I don’t. I’m just a fan. And I’m not even sure if this program will surely bring gold medals to our country’s Olympic haul. But probably it can give us a fighting chance at least. And we really must do something about it and not leaving out the gold medal to chance that maybe, some super athlete out there is born from a Filipino parent who will be unbeatable. Or let’s just continue day dreaming that we’ll finally be able to see in our lifetime our National Flag being raised during the awarding ceremony while our National anthem is being played in the background and our athlete is standing there on the top podium, wearing that elusive gold medal. Here’s a true story about this boy I know. His family's not financially well off. Though his parents supported his studies by sending him to a public school in elementary. They were luckier compared to his neighbors since they were living on a small land which his late grandfather bought some years ago while most of his friends and playmates were from the squatter’s area. Their toys were those that could be bought from sari-sari stores and they also played with candy covers, bottle crowns, cigarette packs and other things that could be found in trash bags. Cursing was the common language there. Drinking, gambling and other vices were the hobbies of many. Shouting and fighting among families and neighbors were also prevalent. It’s usual to hear nagging, see people throwing bottles at each other or a bloodied person caused by fighting. Sadly, this boy did not have to go out of his house to experience those things. And it was more difficult for him to avoid what’s in their home than from those happening outside. He experienced a lot of verbal, emotional, psychological and sometimes physical abuse. A weak heart could have been traumatized with his experience. He might be. And there are scars for sure. Hawakan mo nga sa tenga. This boy, however, loves reading and was doing well in his studies. But he’s far from being that perfect kid. He was very sensitive on teasing by other kids and he always ended up with fist fights. There was a period in his life that a week won't pass without him getting into scuffles even with those several years older than him. With that kind of scenario, what do you think this boy became? For sure, he’s not alone in this kind of life. The society and the people that children grow up with are huge factors on how they are being molded as an adult person. Unfortunately, our powers to choose which environment our kids roam around are limited. Not everyone can choose which place to live in, which kids our children play with, which people to work and interact with and most importantly what kind of parents and family you would live with. And sometimes, society is quick to judge on people by their backgrounds which happen to be the reason why most of us choose to hide our personal history from others. The factors mentioned above may have a large impact on what a person could become. But there are other several things that we tend to underestimate on a person’s character building. One is the influence of a few good people. It can be a real person around him or those which he just reads or learns about. And at times, these persons have more impact to many of us than those whom we meet face to face. Sometimes it only takes one good person for a child to look up to for him to become a better man someday. And another is that we forget the natural goodness of a child and his judgement on what/whom to imitate or to avoid. It was once said that if something is wrong, it becomes right in the eyes of a child if done by an adult. it will be absolutely true only if everybody around him does that. But if there’s at least just one person in his surrounding who shows the right example, the natural goodness of that kid will direct him to who he should follow. Going back to that boy, I know him very well. Looking back at what he went through, I can tell that he grew up better than what we would have expected him to become. His life is not perfect. His character is not flawless. He still has a lot of issues in him but I can say he’s doing better in his life now compared with his past. He’s very much a work in progress. He's able to embrace his dark past. Thanks to the few good people who supported this kid. Some of them are still around while some were gone and others, he just read them on books. And this boy is me.